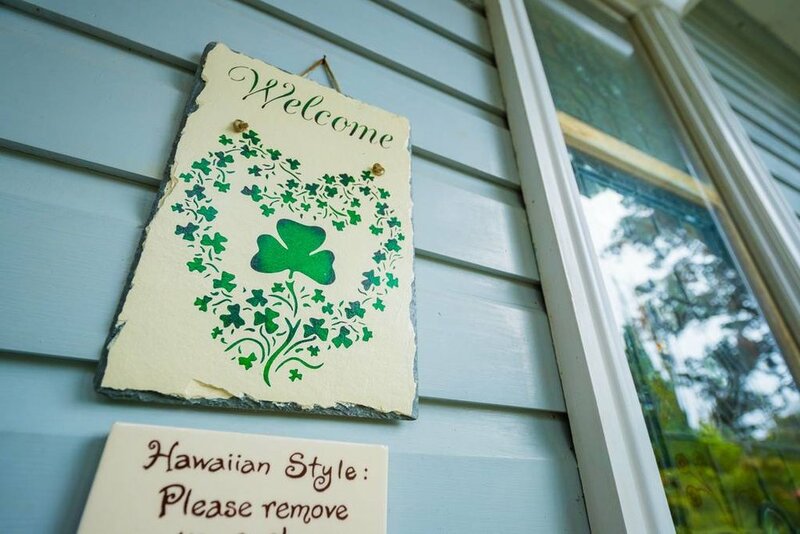 Whether you are visiting the Big Island for an exciting family trip, a romantic honeymoon or a relaxing getaway with friends, Hale Nahele will welcome you, delight your senses and put you instantly at ease. 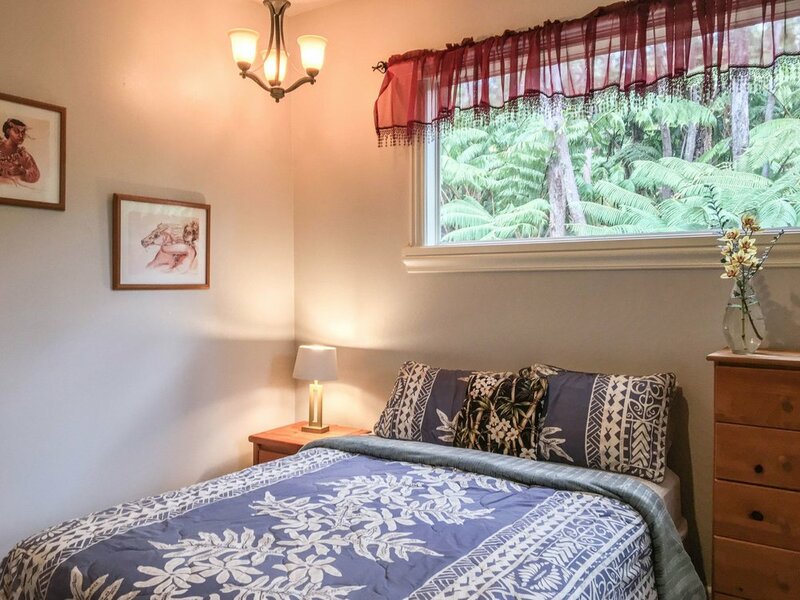 Tucked away on a quiet street in the heart of Volcano Village, this charming 2-bedroom retreat is characterized by its classic look and authentic old Hawaiian ambiance, while still offering tall the comforts of modern amenities. 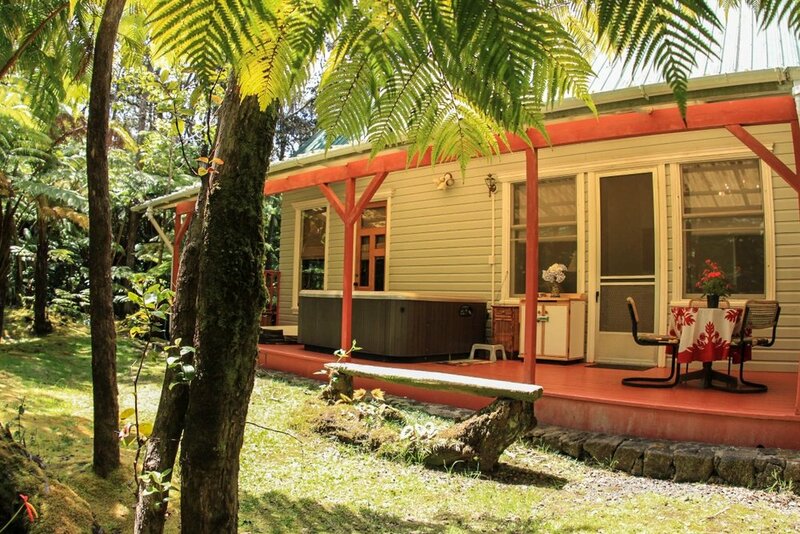 Take in the serene setting while relaxing in a private the jacuzzi on the veranda, or put your feet up next to the wood-burning stove and catch up on your reading. 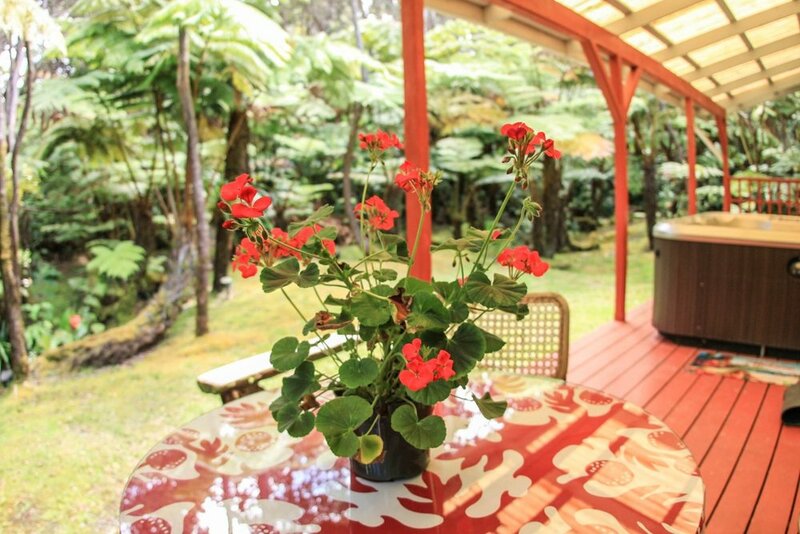 Waking up to the beautiful calls of native Hawaiian birds will make you feel far away from the humdrum of daily life and the abundance of skylights and stained-glass windows throughout the house will allow you to fully appreciate your lush rainforest surroundings. For those who travel with laptops, WiFi and laptop free workspace is available. Equipped with queen-sized beds in both the master bedrooms and a double sofa foldaway bed in the semi-private area off the kitchen, this home comfortably accommodates up to 5-6 guests. For families traveling with small children, there is also a pack and play crib available for your convenience. 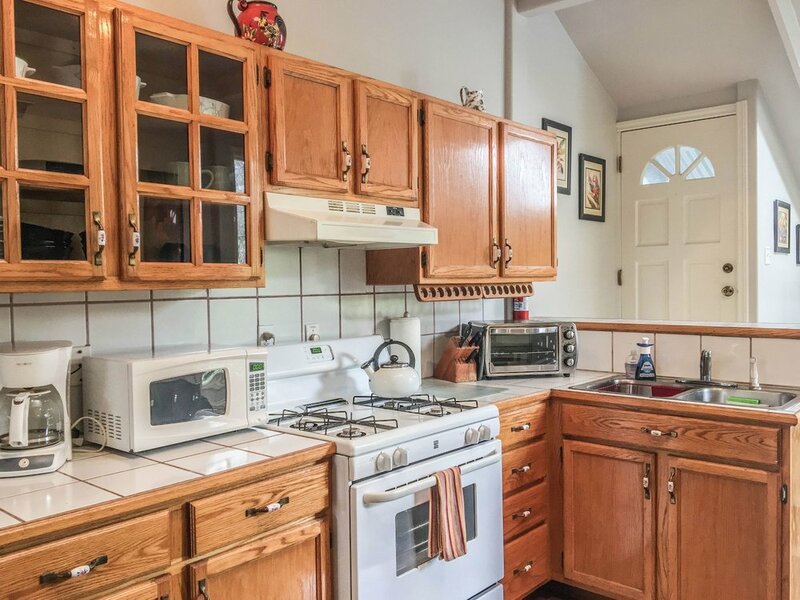 A full, open-style kitchen allows you to leisurely prepare meals at home. 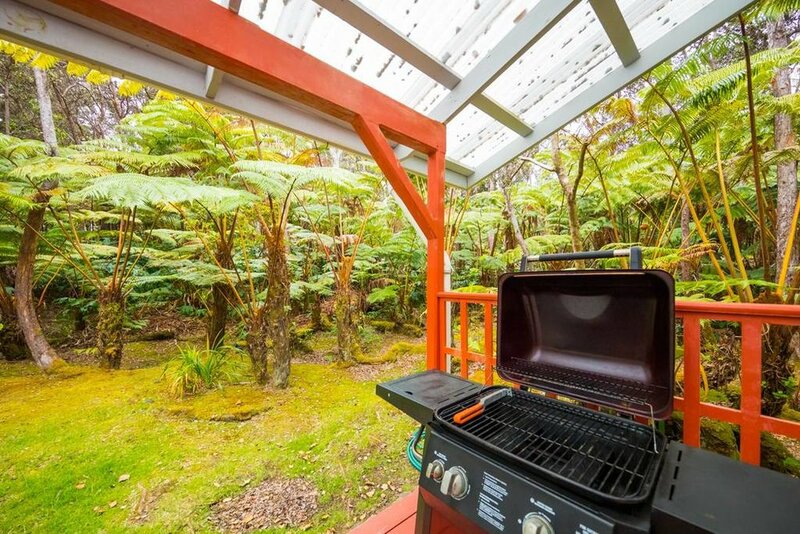 There is also a gas BBQ grill and outdoor dining area on the covered deck. 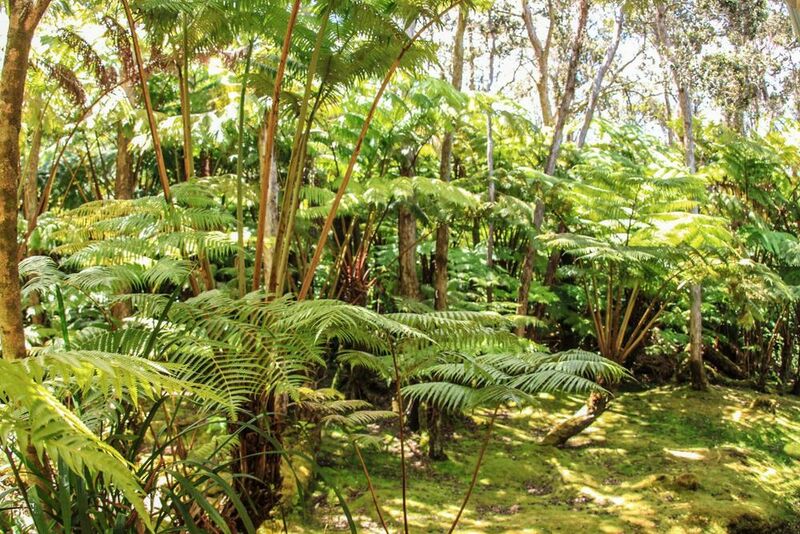 All the delights of Volcano are located just minutes from Hale Nahele, including the world famous Hawai'i Volcanoes National Park, the award winning Volcano Winery, an 18 hole golf course, gift shops, restaurants and art galleries. Punalu'u black sand beach, which is also a well-known nesting area for the Hawaiian green sea turtle, is also just a thirty minute drive away. 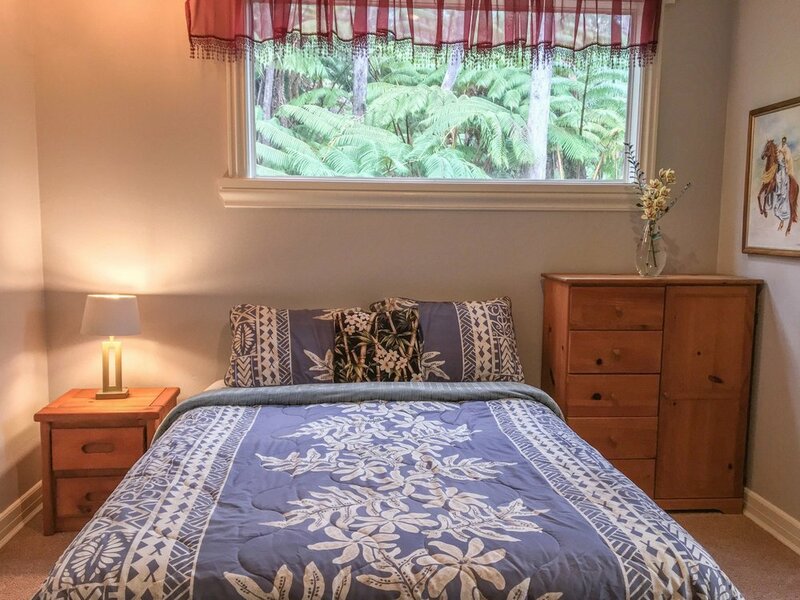 Come experience the comfort and privacy of Hale Nahele, a little piece of paradise and your very own home away from home. 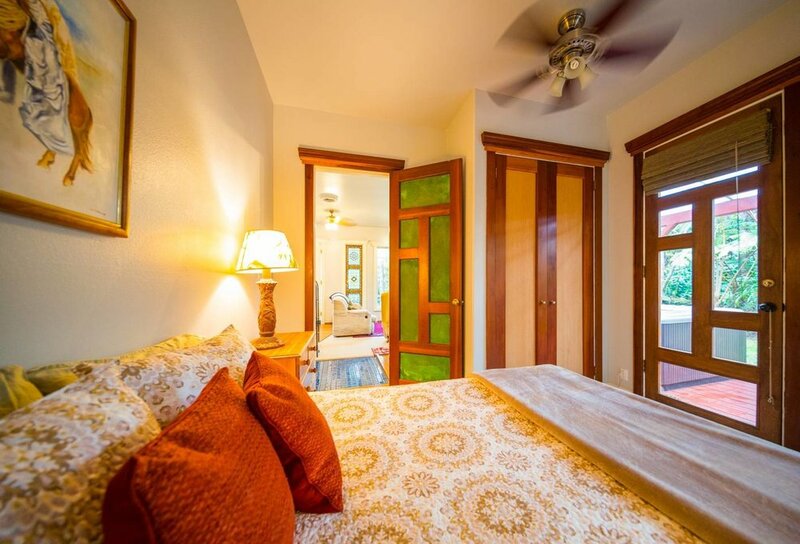 Prices: Low season: $160.00 per night (double occupancy). 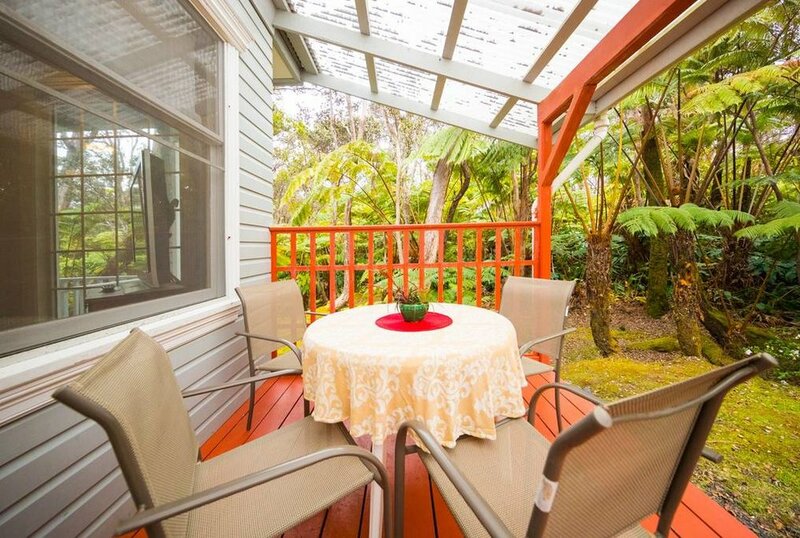 High season: $175 per night (double occupancy). 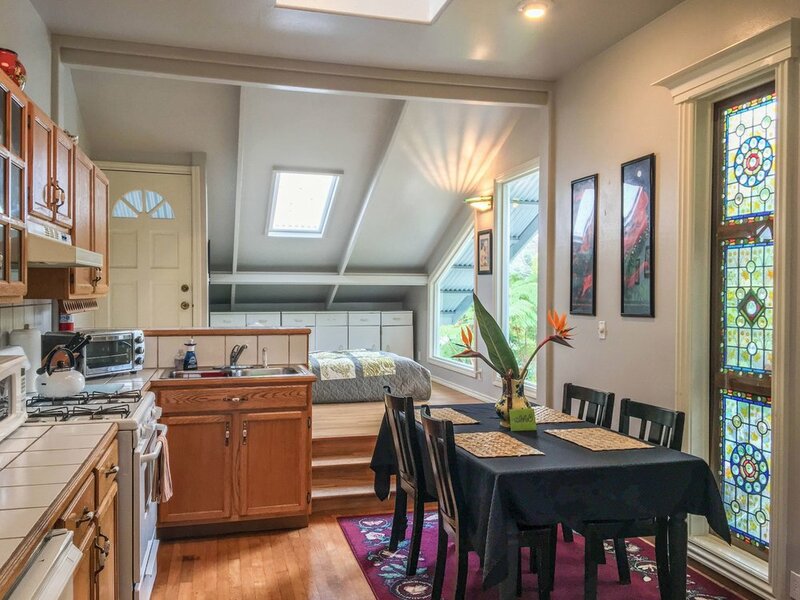 Rooms: 2BD/1BA; queen-sized beds in bedrooms and full futon couch in in a semi-private corner of the den/living room area, pack and play crib. Complimentary: Complimentary coffee, tea, creamer and sugar, fresh cut flowers, towels and linens, basic toiletries, starter supply of paper products (paper towels and toilet paper). Amenities: Free WIFI, cable television, DVD player. Jacuzzi HOT TUB. Wood burning stove (dry split wood, paper and firestarter pellets), electric blankets, space heaters upon request. Kitchen is fully equipped with gas. Miniature refrigerator, microwave oven, toaster oven, blender, pots and pans, dishes, steam ware, cutlery, coffee maker, iron/ironing board, hair dryer, full bath.